Arriba Performance Products (APP) is a new name for an old business, now under new ownership, upholding the same high standards of quality and production. 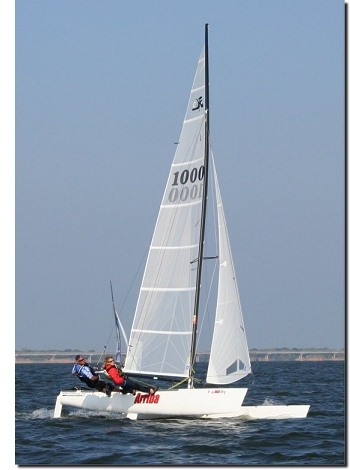 Catamaran sailors all over the world have long enjoyed the performance and craftsmanship of APP products, commonly referred to as Arriba Sticks, or "Hobie Hot Sticks." Arriba Sticks are hiking sticks that offer hand-crafted quality and more versatility than other tiller extensions. Each stick is individually produced and designed to meet the standards of the world's most demanding and competitive racers. As such, APP has adopted the motto: "Since we can demand nothing of the wind, we must demand everything from our equipment."